← >Pomerol jelly from one of my favourite blogs! The easiest way is to start into a measuring jug and go up a mark with each ingredient until you make a pint (600ml). Boil fresh water and pour 100ml of it into the jug. Dilute one sachet of jelly into it (or enough for 1 pint). Add elderflower cordial up to the 300ml mark. Then top up to the 400ml mark with cold water, then to the 600ml point with vodka. Let it cool, then pour into a jelly mould or directly into small cocktail glasses and store until set in the fridge. This is a dreamy, flowery, poetic thing that will impress even your mother-in-law! -This I dedicate to my mother and father-in-law who made me discover the delights of springtime on Sark, a gorgeous little paradise in the British isles… So close to France I could almost touch the coast! 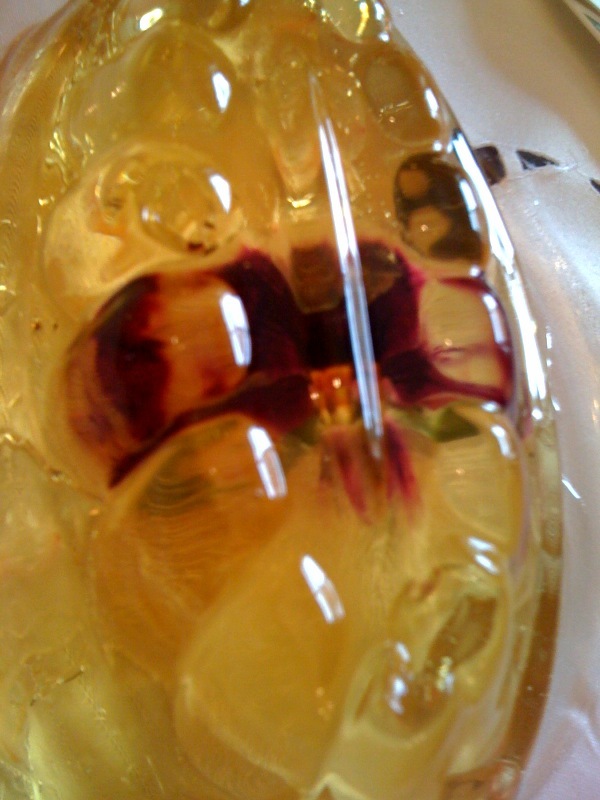 This entry was posted in spring and tagged Channel islands, elderflower, flowers, jelly, vodka. Bookmark the permalink.